When you sit down at a table, you need to stick to a budget. I suggest that you buy-in for 30x the big blind. If you are in a $1-$2 game, you should buy-in for $60. That way you give yourself a chance to play, but if you lose your stake, call it a night. 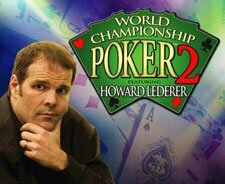 Howard is a two-time WPT winner and holder of two World Series of Poker bracelets.